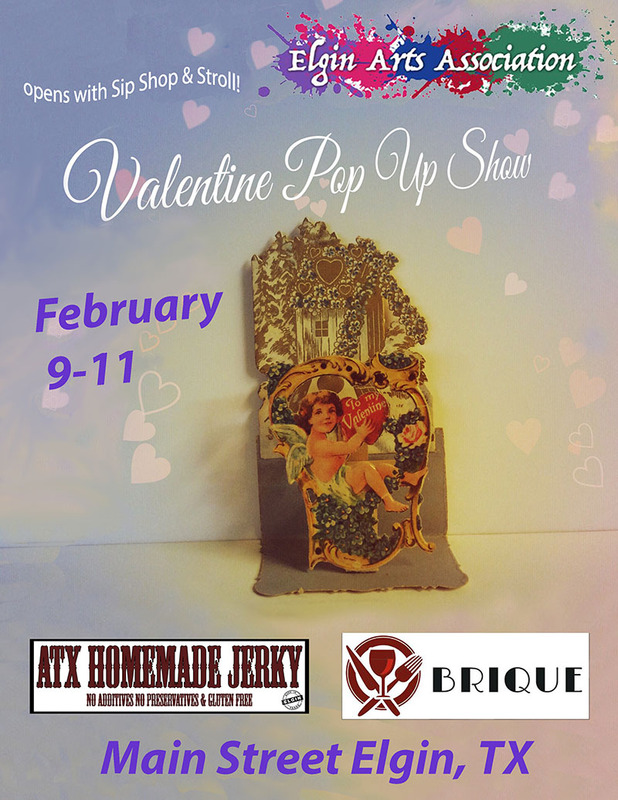 The Valentine Pop Up Art Show was held February 9th, 10th and 11th in 2017. Come out to Main Street Elgin, Texas! Several local artists will be showing and selling their work. The show opens with Sip, Shop and Stroll on Thursday and continues on through the weekend.